Appivo Meetup in Örebro | Feb 11th | Register Now! 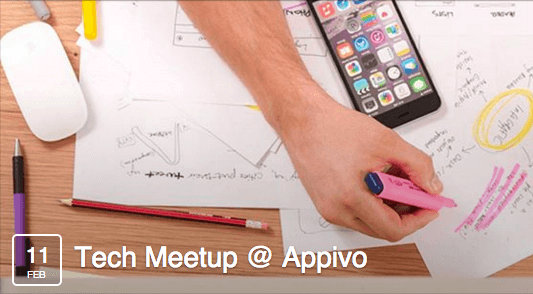 On Thursday February 11, we are hosting our premiere Appivo Meetup at our office in Örebro, Sweden. Everyone is welcome, especially students with interests in tech and IT. Visit our Facebook page to register! In true Silicon Valley spirit, we are opening up our Örebro office for the public to come and chat about technology, grab a beer and have a little fun. Are you curious about what Appivo is doing or looking for a job? At Appivo we want to work with new and innovative people as well as new and innovative technologies. We’ve partnered with Örebro University and others to create three ex-jobs for engineering students. So come to the Appivo Meetup on Thursday and have some fun! Want to know more about Appivo and the tech industry in Sweden and Silicon Valley? Register now and we’ll see you on Thursday! Previous: Previous post: E-commerce Conference & Appivo! Next: Next post: Örebrogalan nominates Appivo for innovation of the year!